When it comes to home care, there is no bigger stakeholder than the client. Long considered just the recipients of care, the conversation has now fully shifted: each of us are the most critical members of our own care teams. We should have the freedom to ask questions, take charge of our own health, be responsible and accountable for our own treatments, and determine what medical care we should receive. Increasingly, experts suggest that we must intentionally design the entire health-care system to achieve just this. Patients don’t have the expertise to treat their illness, but they nonetheless should be in control of their own care plans. It’s no surprise that the home care industry is embracing patient-centered care: researchers are studying it to see if it is a better way to deliver health care, and entire countries are mandating it (see the story of our client and leading care agency in Australia). With this in mind, and to mark Patient Recognition Week here in February, we turn to AlayaCare’s Family Portal that was built to put home care clients in the driver’s seat. The Family Portal began as an organizational and educational tool for clients to stay on top of the care they are receiving. The information is similar to what home care field workers may find in AlayaCare’s Care Worker Mobile App, which they can access prior to a client visit to quickly get up to speed with that person’s care plan, preferences, condition, and home environment. Now, AlayaCare is aiming to enrich the Portal, and ensure that it keeps meeting the needs of clients in agencies throughout the world. AlayaCare seeks to evolve its Family Portal to keep step with a home care industry that is rapidly changing. The goal is to ensure clients can use the app to best prepare for the ins and outs of every visit, keep tabs on their schedule, and monitor their overall progress. In the same vein as soliciting input from the AlayaCare Customer Advisory Board, the team is heading straight to the source and asking clients what they think about the Portal. A new client consultant to AlayaCare, Danielle Kane, is a nursing student in Toronto who suffered a recent spinal cord injury. 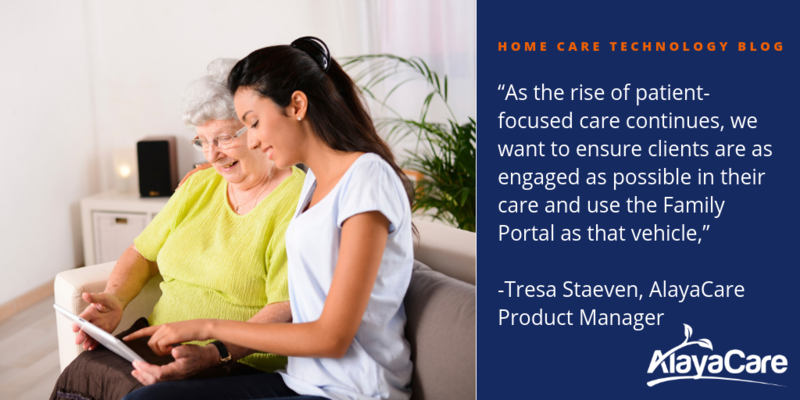 She said the Portal helps people keep the right perspective about their care. Danielle says the real value of such technology is in truly engaging people in their own care, and in staying inspired to stick with the expert strategy to boost their health and quality of life. “The Portal leaves no room for wonder, because if you have questions about the goals of care, or what your treatment path is, you log in and it’s all right there to look at,” she says. “I think it significantly reduces any doubts somebody might have about what they are supposed to be doing at home for themselves, or why. 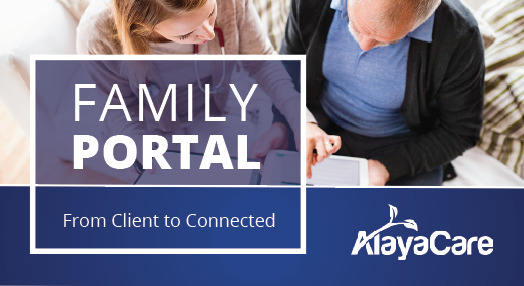 The product team at AlayaCare is devising how to make this as functional as possible and have plans to continue evolving the Family Portal, with more hands-on input by clients. In upcoming releases of the Family Portal, clients will not only be able to view their information but add and engage with it in new ways. 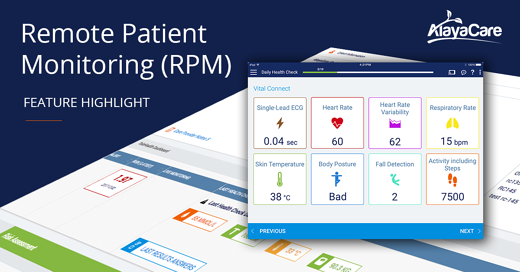 Future releases will include an integration to AlayaCare’s Remote Patient Monitoring and Telehealth apps to capture real-time vitals and daily health checks right within the Portal. An open chat window will also provide the chance to communicate with agency staff and solve questions in the moment. Advancements like this will put patients on the same visibility level as their caregivers – underscoring the fact that we are all part of one care team. If you have any ideas on new features or better AlayaCare functionality, please let us know.